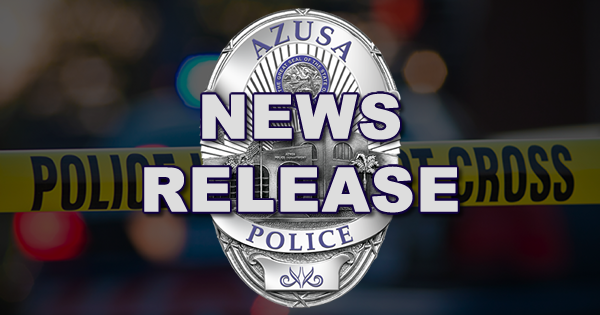 On January 22, 2019 at approximately 9:15 pm, Azusa Police Officers were conducting enforcement operations in the area of Sixth Street and Cedarglen Avenue. The officers discovered a male subject attempting to hide from them. During the contact, the investigating officers discovered that De La Torre had been in possession of numerous 12 gauge shotgun shells. During the course of this investigation, officers found that De La Torre was a convicted Felon on active probation. De La Torre was arrested and booked at the AZPD Jail for Felon in Possession of Ammunition and a Probation Violation. De La Torre is currently being held at the Azusa Police Department Jail on a No Bail Probation Hold. This incident is currently being investigated as a gang related crime by the Azusa Police Department Detective Bureau. Anyone with information is encouraged to call Azusa Police Department Detective Bureau at (626) 812-3200.